Truck Gear offers Retractable Hard Tonneau Cover, a Tri-Fold Tonneau Cover. 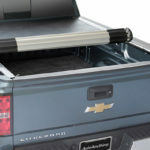 The Retractable Hard Tonneau Covers are designed to expertly fit virtually every make and model of pickup truck sold today. 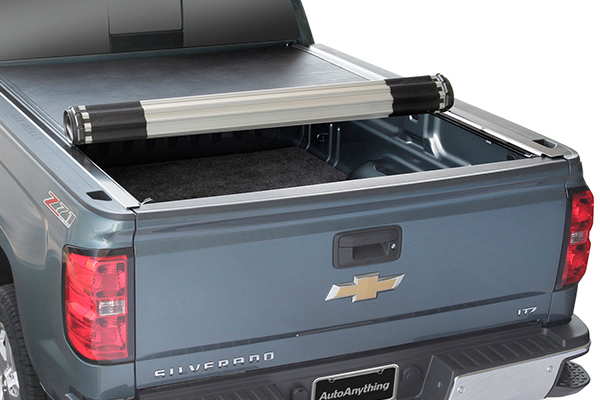 Each cover is engineered to adapt to roll bars, and can accommodate both factory and aftermarket accessories. The retractable cover is double wall constructed using strong, lightweight aluminum that is capable of supporting over 500lbs of cargo. 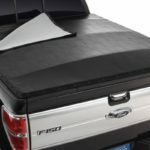 Tri-Fold Tonneau Cover is a soft, folding vinyl cover manufactured using only 100% American made materials and components.Roll-Up Tonneau Cover is a flexible, low-profile, UV resistant roll-up vinyl cover manufactured in the U.S.
America’s Number 1 selling hard cover! Weatherproof: Perimeter bulb seal to protect your bed from the elements. 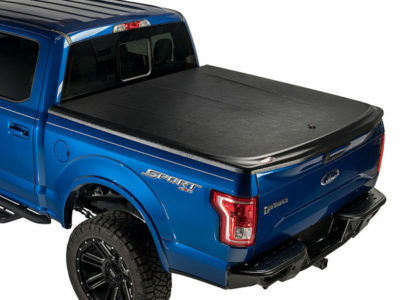 Undercover SE: Going undercover just got a lot more stylish with the UnderCover SE Tonneau cover. 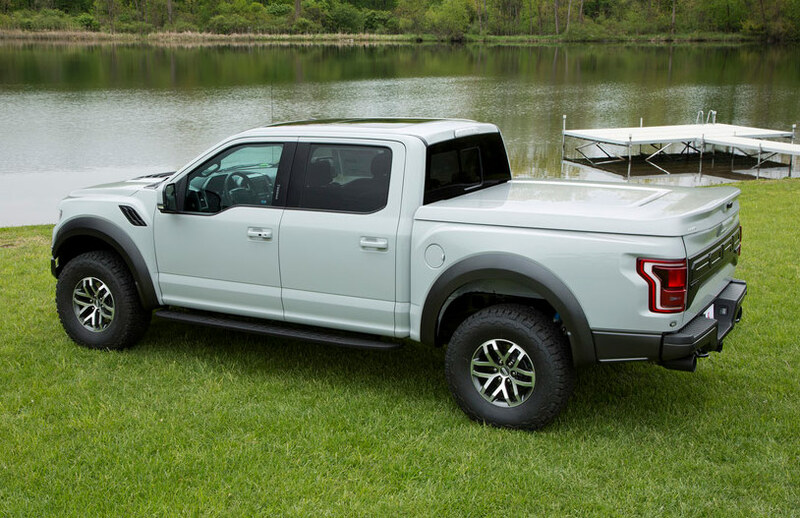 With an updated style, the SE boasts all the features of the original Undercover tonneau, complete with a modern flair. Undercover Swing Case: Put some swing into your sweet chariot with the UnderCover Swing Case Truck Toolbox. Designed specifically for pickup beds, each Swing Case holds up to 75 lbs of tools and gear without eating-up precious cargo space. Lux Undercover SE: The Undercover LUX SE has been designed to be a low profile cover and provides a styled look. Styled ribs, soft corners, contour edges, and a subtle spoiler give the UnderCover Lux SE a custom look. 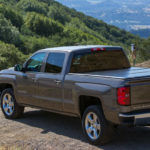 Undercover Flex: When it comes to gymnastics, politics and truck bed cargo control—flexibility is key. And, there’s no better way to touch your cargo-covering toes than with the Undercover Flex Tonneau Cover. 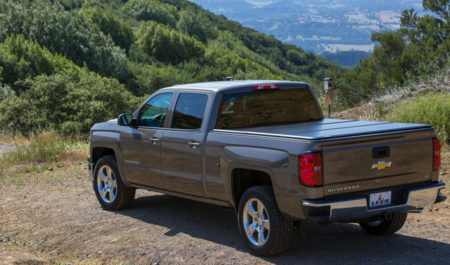 Undercover’s first folding tonneau features a sleek, low-profile design that folds away to reveal your entire truck bed. BAK Roll-X is the worlds only hard roll up aluminum cover with roto lock rails! The Roll-X;s one of a kind design installs easily and does not require adjustments. 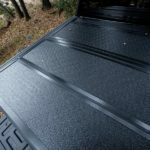 Roll-X is made with OEM marine grade vinyl to ensure your bed keeps dry! RollBAK is your contractor grade all aluminum retractable cover. RollBAK offers a patented rail design that is self adjusting and easier than any other to install. RollBAK allows you to add more accessories with full access to stake pockets holes! 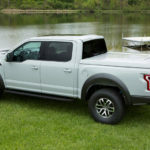 BAKFLIP is going to let you do things with your truck without making excuses! BAKFLIP has solid locking panels that fold over and can be secured in any position to drive with complete access to your bed. BAKFLIP also folds to make a great bench to relax! 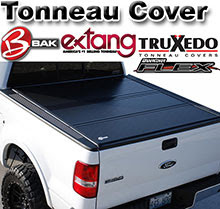 Whether you want a hard tonneau cover, a folding tonneau cover, or just a way to cover your cargo, look no further than Extang’s newest creation: the Solid Fold Tonneau Cover. 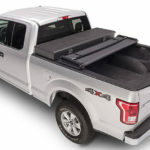 A hard, lightweight version of the renowned Extang Trifecta Tonneau Cover, the Solid Fold gives you all the security you need with incredibly easy to use features. You’ve just hit the Trifecta! 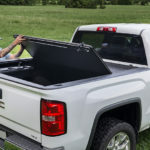 With an easy to use folding design, smooth looks and great durability, The Extang Trifecta Tonneau Cover is a workhorse at covering your cargo. A heavy-duty tarp that’s expertly sewn to 3 folding aluminum frame sections, custom craftsmanship plus ingenious spring-loaded latches make the Trifecta a sure bet. 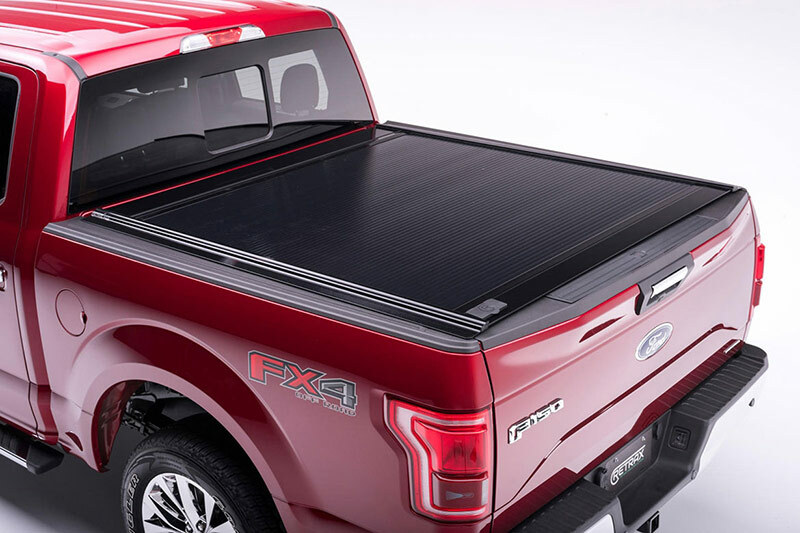 Fast installation, access and looks is exactly what you’ll find in their newest bed cover: the Extang Express Tonneau Cover. In minutes, the Express mounts to your bed rails. In a flash, it rolls closed and automatically pulls tight. In a blink, the Express rolls-up with the integrated bows for full bed access. See what we mean by speed? 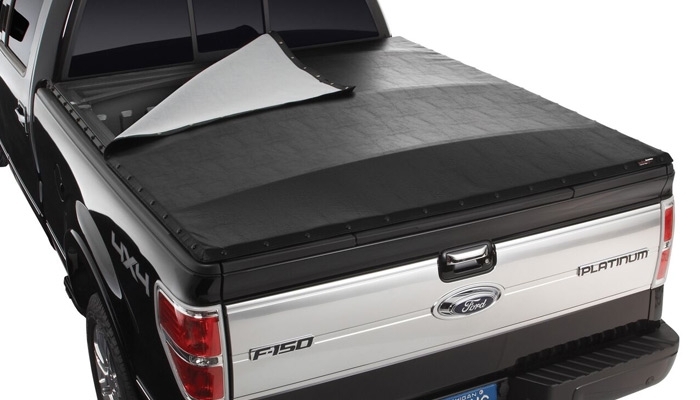 The Extang Revolution Tonneau Cover overthrows the notion that you need snaps, Velcro, or tongue & groove side seals to keep the weather out of your bed. Instead, the Revolution uses an integrated tension system that opens and closes faster, blocks moisture, and consistently keeps a tight, low-profile look for your tarp. 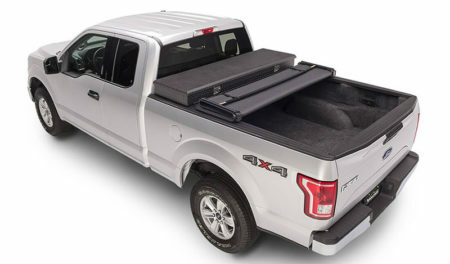 Outfit your bed with a true classic—the Extang Classic Platinum Original Snap Style Roll Up Tonneau Cover. With an all-aluminum frame and exclusive TuffKlamps, the Classic Platinum is custom-made to fit your truck with no drilling required. 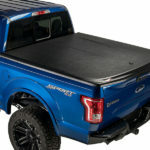 The Extang Tuff Tonno tonneau cover is made of a durable, UV resistant vinyl. Because of the quality materials used, it has the ability to last through the toughest environments. The cover is additionally reinforced with parachute grade nylon to help prevent buckling and a strong J-45 seal for maximum protection. Your truck bed is ready to take on almost anything you toss into it. However, that doesn’t mean it should bear the scars of damage when the job is done for the day. 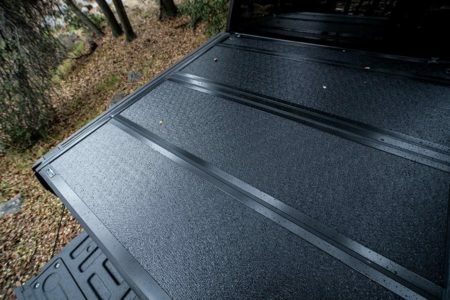 With the Access Truck Bed Mat, you eliminate those unsightly scratches and dings, keep your cargo secure from sliding and help save the planet at the same time. Transform your work truck into a double-decker cargo-hauling beast with the Access Adarac Truck Rack. 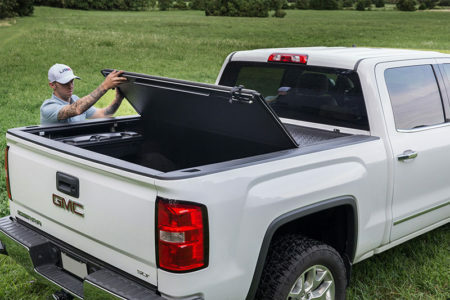 Whether you’re lugging ladders, lumber or piping down to the jobsite or toting your kayak down to the lake, the versatile Access Adarac Truck Rack carries it all in style—and, all without getting in the way of your tonneau cover. Great looks and premium features makes the Lo Pro QT the best selling cover on the market. 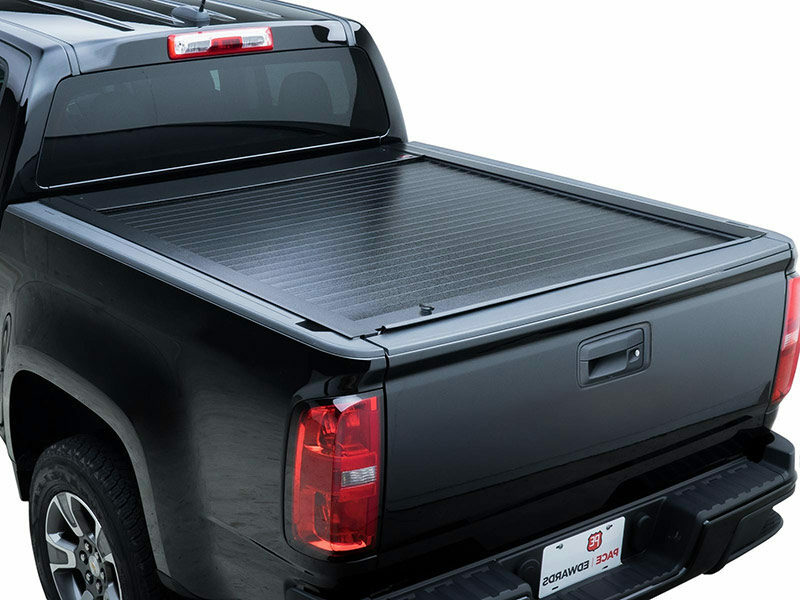 Dress your truck with a durable tonneau that closes without the use of cumbersome snaps, zippers or clips. The TruXedo TruXport seals smooth with a no-hassle Velcro fastening system that runs the length of the rail. And, easy to use tension adjusters provide a fiberglass-like sleek surface in any weather, giving your gas mileage a boost. 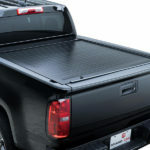 Keep wet-weather and potential thieves out of your payload with the TruXedo Edge Tonneau Cover. 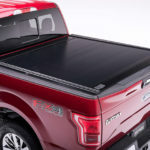 This roll-up soft tonneau cover delivers great style and performance with its low-profile, arched back design that improves the look of your truck bed.